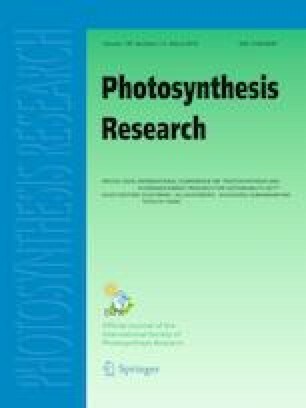 Recently, we isolated a complex consisting of photosystem II (PSII) and light-harvesting complexes (LHCs) from Nannochloropsis granulata (Umetani et al. Photosynth Res 136:49–61, 2017). This complex contained stress-related protein, Lhcx, as a major component of LHC (Protein ID is Naga_100173g12.1), suggesting that non-photochemical quenching activities may be taking place in the PSII-LHC complex. In this study, we examined the energy transfer dynamics in the isolated LHCs and PSII-LHC complexes, and found substantial quenching capacity. In addition, the LHCs contained low-energy chlorophylls with fluorescence maxima at approximately 710 nm, which may enhance the quenching efficiency in the PSII-LHC. Delayed fluorescence analysis suggested that there was an approximately 50% reduction in energy trapping at the PSII reaction center in the PSII-LHC supercomplex under low-pH condition compared to neutral pH condition. Enhanced quenching may confer a survival advantage in the shallow-water habitat of Nannochloropsis. The online version of this article ( https://doi.org/10.1007/s11120-018-0510-3) contains supplementary material, which is available to authorized users. This work was supported by the Japan Society for the Promotion of Science (KAKENHI Grant No. 16H06553 to S. Akimoto, grant-in-aid for Young Scientists 23770035 to A. Takabayashi, and Scientific Research Grant 24370017 to A. Tanaka) and the University College of Southeast Norway. We thank Shelley Robison, PhD, from Edanz Group (http://www.edanzediting.com/ac) for editing a draft of this manuscript. M.Y. is employee of NIPPON FLOUR MILLS Co.,Ltd.